Kumho Ecsta TW02 tyre, FIA approved wet rally tyre. 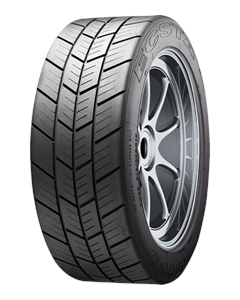 The Kumho Ecsta TW02 is designed for tarmac rally use in wet conditions. The tyre has proved a huge success tarmac rally championships since Kumho tyres first burst onto the motorsport scene. The TW02 has proved itself in the toughest of competitions, with a string of high profile successes in Irish rallying, it is fast becoming a 'must have' on many teams' shopping lists. Maximum grip is provided by the moulded pattern design on wet tarmac with additional tread blocks for extra performance. this tyre can also be grooved to offer better grip for standing water etc (regulations permitting). Sorry, we currently do not have any tyres with the Ecsta TW02 pattern in stock.